Being a parent is a great thing when you have already planned many things in your mind:) but if you sometimes hesitate and are confused about the things related to children which is so normal then the stress you may encounter can't be measured I guess. Especially, parents may be distressed when the subject is education. 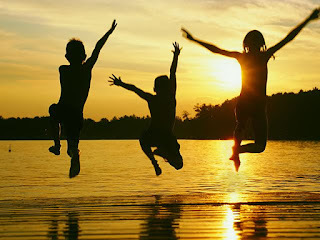 So here in this and next posts I will try to give detailed info about Summer camps for kids in Barcelona city. 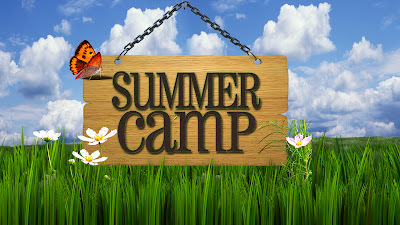 Please make sure that you read the all posts about Summer Camps so that you can give your best decision for your kids. Of course you need to search more but I guarantee that you will have clear picture in your mind when you read all the posts about this subject at our site. First of all, I need to explain that the intro will be detailed cause we should first understand what we are looking for? As when we say summer camp it means a lot. Is it only a language camp? Do you need sport activities including? or what about the accommodation for your kids? There are lots of details to be cleared up so I will write seperately. Here in this post I try to mention about Summer Camps For Kids in Barcelona including Language Learning. Spanish courses are generally appropriate for the kids and teenagers from 5 to 18 years old. The courses are at least for two weeks and it can expand according to your budget. Most of the Spanish courses in Barcelona provide the accommodation also. The kids will have the chance to visit the city and discover fantastic sightseeings. The Language courses lasts five days per a week at least 20 hours generally. The children will take the courses in the morning and have free time in the afternoon with supervisors of course! Besides, most of the courses are international so the children will have the chance to practice at least two different languages when necessary. Well, these are the general details about the Spanish summer camps for kids in Barcelona. In our next post, please check the various Spanish summer camps by names and start to get first influence about the schools. Till the next post you can read previous ones.You will find the best tourist attractions in Barcelona city. We are glad to be your Barcelona city travel guide. Enjoy the site till the upcoming post.